In this new collection of poetry and short stories, beloved Pacific writer Serie Barford reflects on the entangled history of New Zealand and the Pacific Islands. Here peoples and cultures meet and intertwine in a medley of memories, imagination and genealogy. 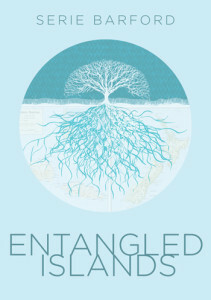 Entangled Islands invites the reader to enter a lyrical, vividly drawn world. Serie Barford was born in New Zealand to a German-Samoan mother and a Pālagi father and grew up in West Auckland. She has published three previous collections of poetry. ISBN 978-0-473-33082-8, 148 x 210mm, pb, b&w, 87pp. “A revealing collection … that looks at what it means to be a Samoan New Zealander.” –Lynn Freeman, Radio NZ National. “A stunning wandering through Oceania’s physical and ideological islands – we are all connected. Poignant, political, prodding poetry.” –Selina Tusitala Marsh, Booknotes Unbound. 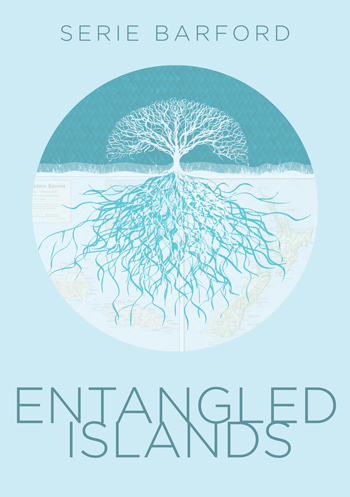 “Entangled Islands is a stunning collection that weaves together memory with impressed images, reality and fantasy, past and present, all tangled together within her poetry and prose.” –Booksellers NZ.